When I see recipes that call for 3, 4 or 5 ingredients I am always intrigued. And when those recipes are for Peanut Butter Cookies I consider it my duty to investigate further. 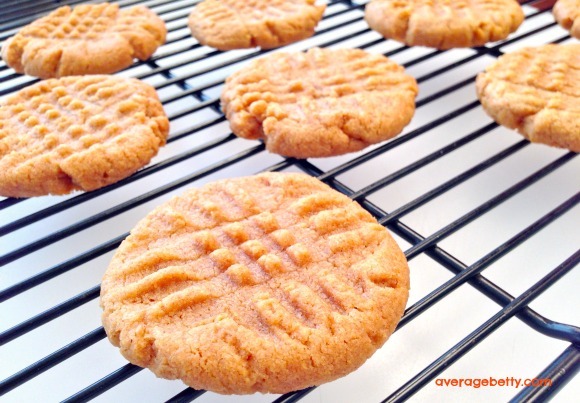 Please trust me when I tell you, there are a lot of recipes out there for 4 Ingredient Peanut Butter Cookies! It’s hard to believe that these cookies have no flour, and are therefore gluten free. It’s also wonderful that there is no need to break out your electric mixer. 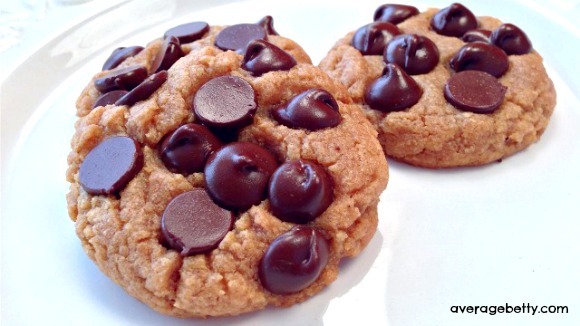 I can promise you, you won’t be disappointed with these cookies. They are fail-proof. Perfect results guaranteed if you watch the video! Makes 18-20 cookies. For added instruction and entertainment, watch the video. 1) Preheat oven to 350(F). 2) In a bowl, beat an egg. 3) Add vanilla and stir. 4) Add peanut butter and sugar and fold until a dough forms. 5) Using a tablespoon as a guide, shape dough into balls and place on a prepared baking sheet. 6) Create cross hatch on top of each cookie by pressing a fork, first one direction, then the other. 7) Bake cookies in the preheated 350(F) oven for ten minutes. 8) Allow to cool on baking sheet before removing. For added instruction and entertainment, watch the LUCKY COOKIE! 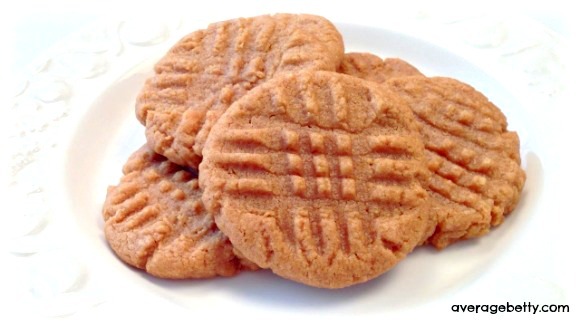 – 4 Ingredient Peanut Butter Cookies Video.